On Thursday, April 26, 2012, the Mystery Writers of America held its annual Edgar Allan Poe Awards dinner in New York. 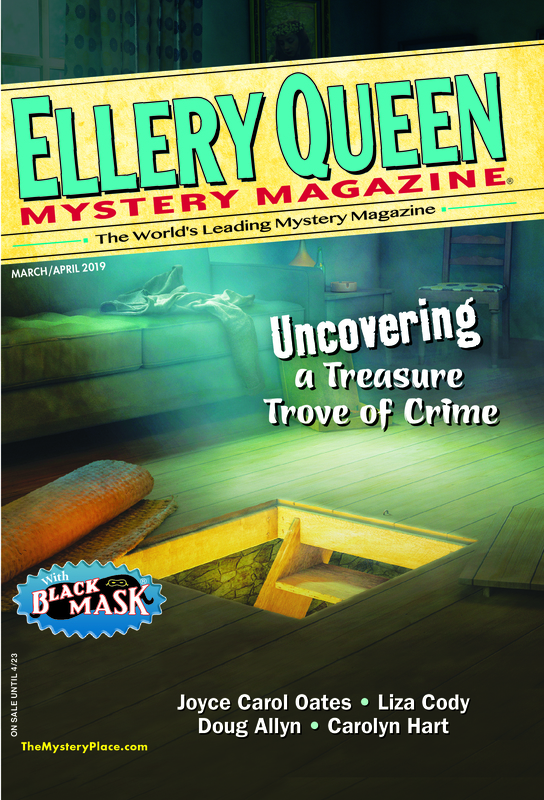 It was a special night for Ellery Queen’s Mystery Magazine and our sister publication Alfred Hitchcock’s Mystery Magazine. Two EQMM stories were nominated for the Edgar for Best Short Story: David Dean’s “Tomorrow’s Dead,” from the July 2011 EQMM and Peter Turnbull’s “The Man Who Took His Hat off to the Driver of the Train,” from the March/April 2011 EQMM. John C. Boland also received a nomination for his June 2011 AHMM story “Marley’s Revolution.” Congratulations to all of the nominees, and to the winner of this year’s short-story Edgar, Peter Turnbull! At the Edgars banquet, the Robert L. Fish Memorial award for the best short story by a new author was also presented; it went to David Ingram for his January 2011 EQMM story “A Good Man of Business.” We congratulate him on an extraordinary debut. Two days later, the Malice Domestic Convention held its Agatha Awards banquet in Bethesda, Maryland. Toastmaster Dana Cameron, who was also nominated for Best Short Story for her June 2011 EQMM story “Disarming,” took home the award, adding to her growing number of honors in the short-story field. Hats off to her and to everyone else who was recognized this awards season! This entry was posted in Awards and tagged Agatha, awards, Edgar Awards, ellery queen, eqmm, magazines, Malice Domestic, MWA, short stories. Bookmark the permalink. And congrats to you, Janet. Another great year for EQMM.